Thinking of taking a village holiday in Montenegro? What about destinations so hidden that you can’t find them through a simple Google search? Then you have to experience something authentic we like to call #CrazyGoodTravel! Montenegro is following in the footsteps of our neighbor Croatia and becoming the next “it” destination. However, like anywhere else, you cannot expect to truly immerse yourself in its rich cultural heritage just by visiting the tourist hotspots. In order to truly understand the people of Montenegro and our culture, you have to go back to our very own roots–the villages. It’s where our grandmas make the best, hearty dishes, where the air is as fresh as it gets and where the family tribes have chosen to live for the last 19 centuries. A village holiday in Montenegro is a great idea if you are looking for an escape in the country of wild beauty. 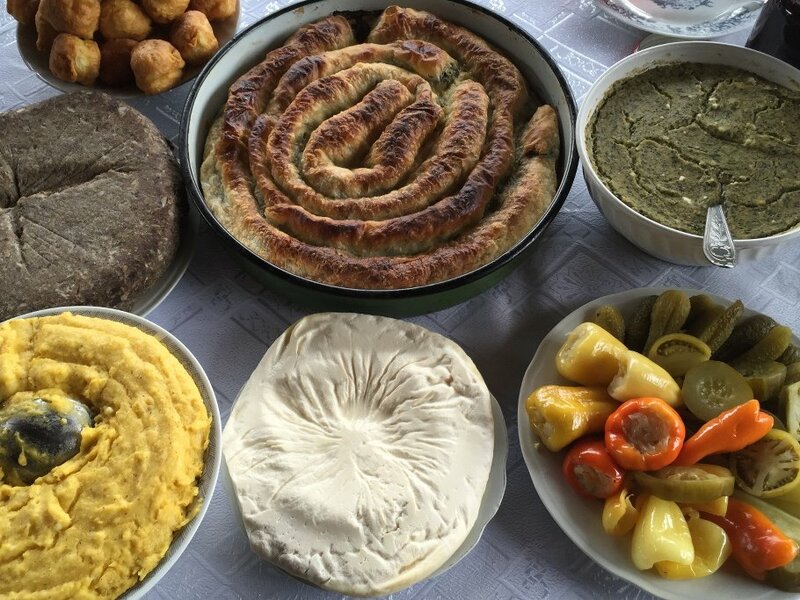 You can get to know the authentic Montenegrin culture in the hearty households locals built for tourists to immerse themselves in the rustic landscape, while at the same time enjoy gigantic portions of organic food. 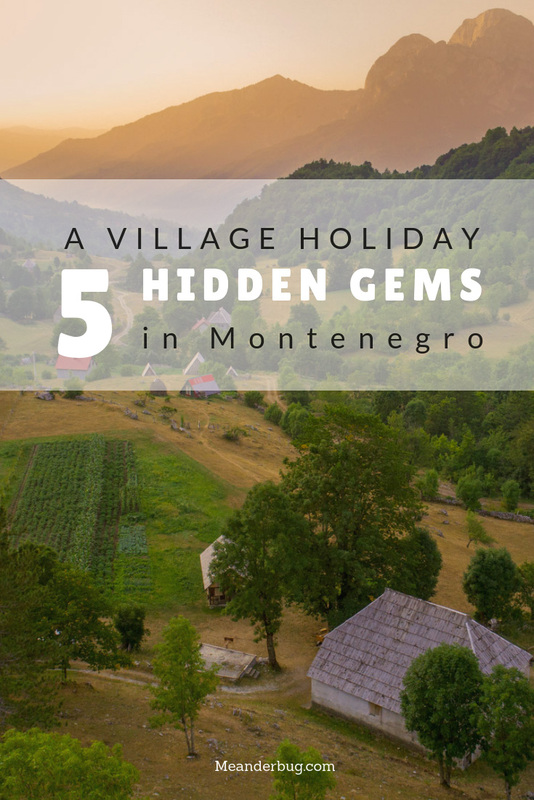 Here’s a list of 5 villages that are perfect destinations for a village holiday in Montenegro. These are great for solo travelers, couples, families–literally anyone! Full of apple orchards decorating the land of our partners, Lubnice is located on the backside of Biogradska Gora National Park. Although it is not officially within the borders, it is just as beautiful as the national park itself. The village presents several access points to some of the less explored places in the park. 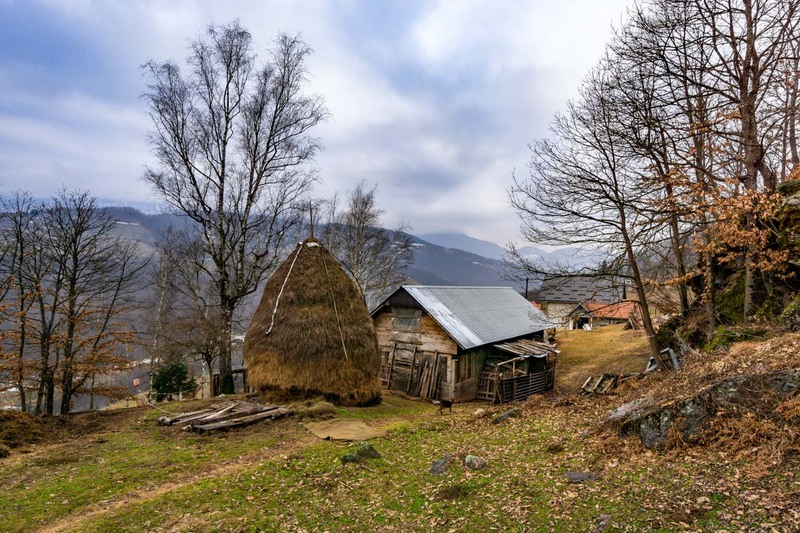 One of the most rustic parts of Montenegro, Lubnice is perfect for activities such as mountain biking, hiking, and fly fishing. There are also many opportunities to forage for mushrooms, herbs, and berries, which grow in abundance in the nearby forests. Think Lubnice is exactly what you’re looking for? We can help. And, booking through Meanderbug means you are investing in the families of so many locals as we continue to work with, support, and coach a growing number of village partners. Your stay expands the economy of the underdeveloped north and helps locals live a better life! Check out regional Lubnice holiday village Montenegro possibilities! Located in the heart of Skadar Lake National Park, Zabes Selo is a gem hidden from nearby Virpazar. Here, tourists rent boats to meander around beautiful Skadar Lake. 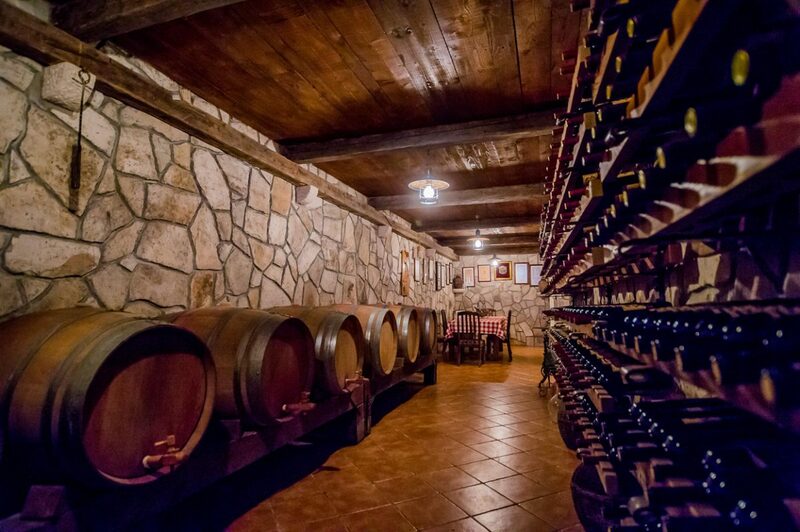 This area is also known for splendid vineyards that produce the best quality wine in the whole country. There are many vineyard tours you can book for some wine tasting, as well as lake tours on Skadar Lake. Both are within proximity to breathtaking mountains and the warm Adriatic sea, making Zabes a perfect village holiday destination in Montenegro for a full Montenegrin experience. We invite you to book a cabin in Zabes. Due to its popularity, we advise you to make your booking before the New Year! Check out regional Zabes holiday village Montenegro possibilities! Konjuhe used to be a favorite retreat destination for many emperors long ago. Locals also know it by the names of Emperors’ retreats and Emperors’ households. The name of the village comes from the word “konj” which means horse because it is believed emperors kept their favorite horses there. 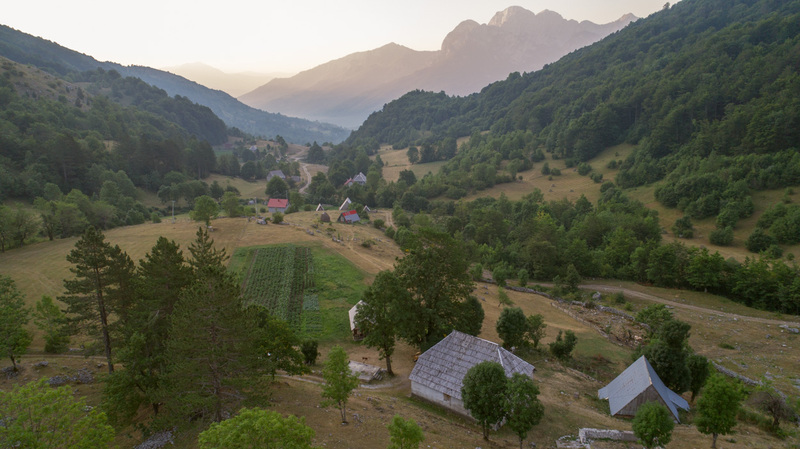 Surrounded by the slopes of Komovi mountain, your holiday village in Montenegro here combines elements of quiet retreat with plenty of opportunities for adventure, such as mountain biking, hiking, caving, and Nordic skiing! Konjuhe is a central location in the crossroads connecting historical sites such as the ancient Roman settlement of Doclea (Duklja), medieval Budimlja and the medieval Serbian Orthodox monastery of Decani. It is also an ideal spot for exploring Mount Komovi. Check out regional Konjuhe holiday village Montenegro possibilities! 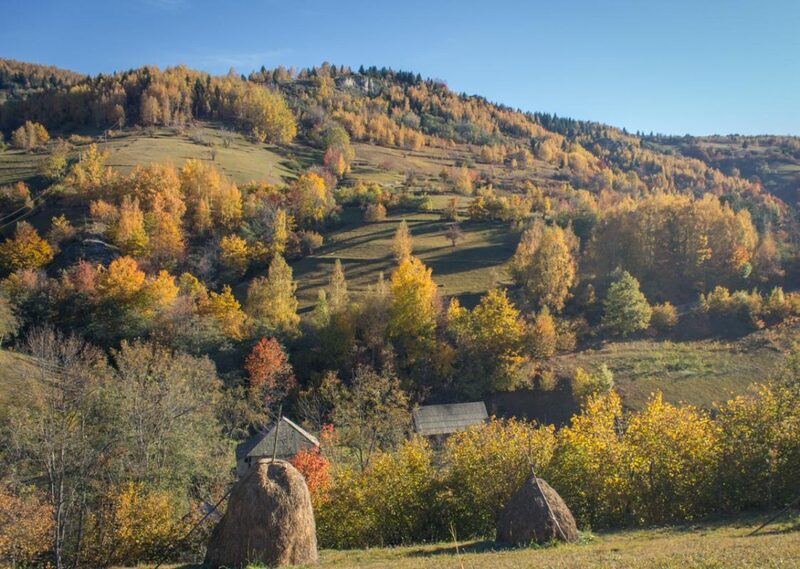 Surrounded by the slopes of 3 mountains – Sinjajevina and Bjelasica with Durmitor in the distance, Lipovo is a perfect village for hikers and mountain bikers, as one main long road connects all of the mountains with the village. It is also close to the Biogradska Gora National Park, a green haven of Montenegro. 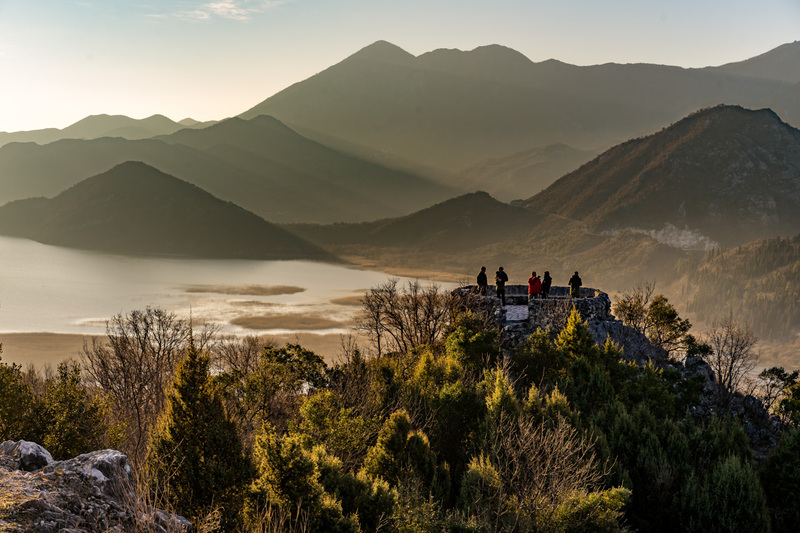 If you’re looking for an easy, scenic hike, you can go for Mount Sinjajevina, which has a perfect terrain. 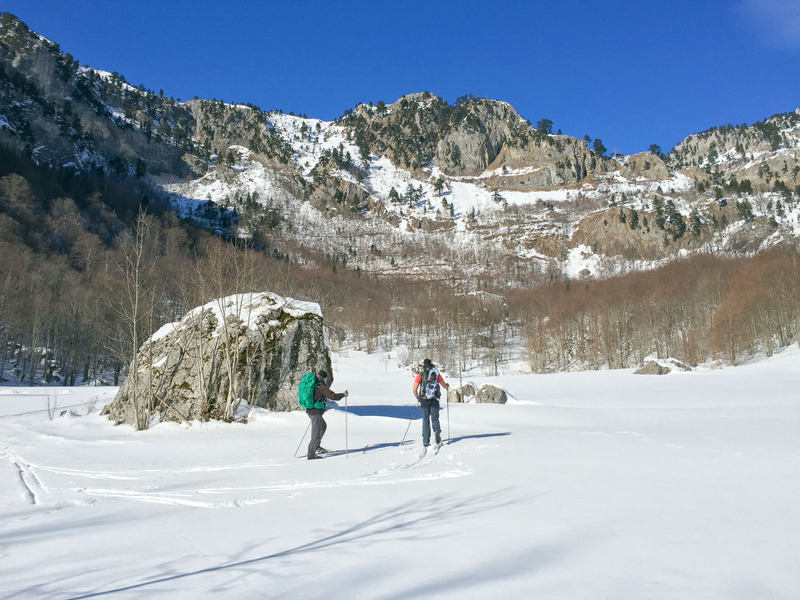 Its plateau is ideal for winter cross-country and backcountry skiing. Check out Lipovo holiday village Montenegro possibilities! Ravna Rijeka has a train stop on the Belgrade–Bar railway, which National Geographic rated as one of the best train trips in the world. One of the least explored areas in the country, Ravna Rijeka is an excellent, year-round destination that offers snowshoeing, Nordic and cross-country skiing during winter, and scenic hiking trips. You can enjoy various outdoor activities during summer as well. Ravna Rijeka is another hidden Montenegrin gem that is rustic, but provides access to Bijelo Polje, the largest Montenegrin city in the north. Check out regional Ravna Rijeka holiday village Montenegro possibilities! If you want more information and help planning your village holiday in Montenegro don’t hesitate to write us at info@meanderbug.com or contact us through our Facebook page.